Atlanta Classic Kitchens provides Atlanta kitchen remodeling, kitchen design, custom cabinets, and interior design to bring your new kitchen to life. The kitchen is the heart of the home and it should be designed around whats truly important – family, friends, food and life! 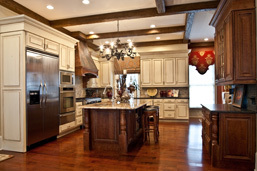 As a professional interior designer for over 20 years, I know that the kitchen is the heart and soul of your home. That’s why at Atlanta Classic Kitchens we will lead you through the process one step at a time, showing you how to make your kitchen work for the way you live and cook. Atlanta kitchen design with factory direct pricing on a complete remodel. This includes kitchen cabinets, granite countertops, sinks, islands, lighting fixtures and flooring . At Atlanta Classic Kitchens you will receive top rated design at discount kitchen remodeling prices. We will help you select just the right elements to transform your kitchen into the heart of your home. 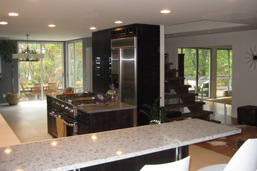 While many kitchen design companies in atlanta can take up to 6 weeks to complete a kitchen remodel. Atlanta Classic Kitchens offers a unique customer service promise to remodel your kitchen in up to three weeks – all while saving you up to 30% off of competitors’ prices making your new kitchen more affordable than ever. With this commitment to exceptional quality and customer service it is no wonder that Atlanta Classic Kitchens has been the preferred Atlanta kitchen design company for over 20 years! As the owner of Atlanta Classic Kitchens I offer my clients the ultimate experience in kitchen remodeling, interior design and renovation. By removing the middleman, our prices will allow you to achieve the kitchen design of your dreams. If you are interested in installing new custom cabinets, updating your kitchen countertops, or simply brainstorming for some great renovation ideas- Atlanta Classic Kitchens offers you personalized service with competitive pricing on all materials, services and labor. 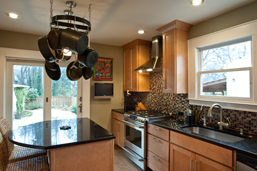 You won’t have to manage multiple contacts for your kitchen remodeling project. I will be your one-contact project manager, from designing the space, selecting the materials, price quotes, sales of all selections, all contrators- from demolition to the completed installation. With Atlanta Classic Kitchens getting the kitchen of your dreams really is that simple! As an Allied ASID member, NKBA member and licensed professional interior designer I have the industry contacts that guarantee you the best price possible for your project while providing affordable luxury and a lasting value to your home. If you are ready to take bring your new kitchen to life, call Atlanta Classic Kitchens for a consultation today at (678) 615-8848. Let us show you how our design creativity, factory direct prices and innovative remodeling services can transform your kitchen into into the kitchen of your dreams. We are currently providing affordable kitchen remodeling at factory direct prices to Atlanta, Alpharetta, Virginia Highlands, Roswell, and surrounding areas. If you have any questions please contact us.